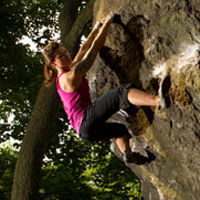 If you're looking for some great outdoor rock climbing or bouldering, NY has many fun options. In this directory you'll find some of the top locations to go climbing, whether it's rock climbing in the Catskills or bouldering in Central Park. 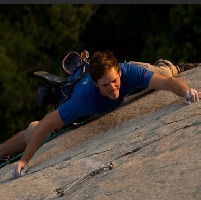 If you love rock climbing and other outdoor adventures, come to Discover Outdoors in New York. Break your routine of urban living and experience something you will remember forever with this NY rock climbing excursion. Since 1982, Discover Outdoors offers unique and authentic trips scouted by experienced and skilled guides. They hold the following credentials: New York State Licensed Trail Guide, Wilderness First Responders and Wilderness EMT’s. In addition to rock climbing and ice climbing, you can explore the outdoors in multi-day weekend excursions, international adventure travel and even volunteer projects abroad. 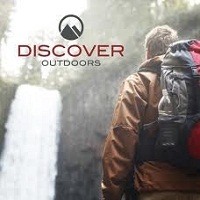 Discover Outdoors can plan an exciting day in the nature for you. For more information, call or visit the web site. If you want to feel the excitement of rock climbing, but you don’t have the time for going to a mountain, come to Manhattan Plaza Health Club and have one of the best bouldering experiences in NY. The facility was opened in 1978 and since then it has grown to a 35,000 sq. ft. complex housing everything from rock climbing and spinning to pilates and scuba-diving. The climbing gym boasts 5000 square feet of climbing surface which includes over 60 routes (redesigned monthly), a cave complete with a 40 ft. multi stepped lead roof set in average of 34 degrees, two 20 ft squeeze chimneys, and a 160 ft. bouldering route. Manhattan Plaza Health Club offers different climbing programs to please visitors of all ages. For the first time climbers, the price is $100/month or $60/day, both including a one hour introductory lesson. For experienced climbers with their own equipment, the price is $20/day or $75/month. The club also offers special rates for adult groups and child parties. Want to be a rock climber? Or are you in search for rock climbing gear? You can have a look at The North Face. The North Face has the best and latest updated gear. So, they can provide the best support for rock climbing in New York. Open Monday-Friday: 8am-7pm (EST) and Saturday: 9am-6pm (EST). A rock climbing experience with gear from The North Face will pass all the previous records of your so called best experiences since they are providing the best products and also offer attractive discounts. So, shop today to feel the difference when you are on the mountains. Get ready to enjoy Rock Climbing! Are you interested in rock climbing? If you are, then Paragon Sports brings you the best camping and rock climbing gear in New York for you. They are open from 10 AM - 8:30 PM on Monday- Friday, 10AM - 8PM on Saturday and 11AM - 7PM on Sunday. In their stores, there is a variety of equipment from climbing harnesses to sleeping bags. Also, you can enjoy attractive discounts! Paragon Sports offers membership opportunities for the elite rock climbers to be a part of the family. Go with your friends and enjoy the versatility of the products. Buy Rock Climbing Gear in NY! Are you an expert rock climber? Looking for veteran rock climbing gear in New York? Eastern Mountain Sports has brought to you a variety of collections of rock climbing equipment. It's a huge collection that has almost all the necessary equipment for a rock climbing trip. Open Monday - Friday from 10 am - 9:30 pm, Saturday from 10 am - 9 pm and Sunday from 11 am - 8 pm. Like the other adventure sports gear manufacturers, Eastern Mountain Sports has the best quality rock climbing gear at a discounted price. You can easily be a member to enjoy the premium membership discounts and other additional services. Get Ready for Rock Climbing! Looking for rock climbing gear in New York? Check out the Sunny Sports stores for cool rock climbing and hiking gear. They are also providing additional camping equipment at a discounted price. They are open Monday - Thursday from 9:30 am to 6:00 pm EST and Friday from 9:30 am to 1:00 pm EST. 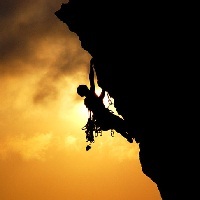 Similar to the other adventure sports manufacturers, Sunny Sports has the best quality rock climbing gear. You can also be a member to enjoy the premium membership discounts and services. 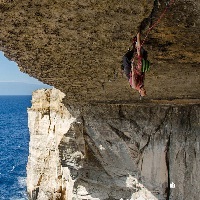 Exciting deals for Rock Climbing Gear! Patagonia delivers you the best deals of rock climbing gear in New York. It has a wide collection of equipment that will drive you crazy. And Patagonia is offering the best deals with exciting discount offers. So, Hurry Up! and grab some of the coolest gadgets in town. The store is open Monday-Saturday from 11 am-7 pm and Sunday from 11 am-6 pm. Like other gear manufacturers, Patagonia is delivering the quality products with greater durability that ensures your safety while you are on your crazy adventures. You can also be a member to enjoy the premium offers. Are you interested in Rock Climbing? Looking for rock climbing gear in New York? 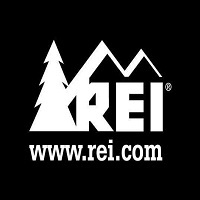 Check out the famous REI stores for the best rock climbing and hiking gear. Also, you can have membership and stewardship with REI to enjoy even more. Open Mon - Fri 10 am - 9 pm, Sat 10 am - 9 pm and Sun 11 am - 8 pm. REI is also providing deals with the best discounts and offers. You can also rent some gear if you have membership. So, don't waste any more time roaming around. Go to REI and pick out your best deals. Be a climber with Reebok Sports Club! Are you interested in Rock Climbing? Seeking for proper training in New York? Reebok Sports Club brings you the opportunity to take training from experienced instructors who will help you to be a rock climber. If you are new to this sport, instructors will teach you techniques that will take your knowledge to a higher level. Open Monday - Thursday: 5:00am – 11:00pm, Friday: 5:00am – 10:00pm and Saturday - Sunday: 7:00am – 9:00pm. So, what are you waiting for? Join Reebok Sports Club and be a part of the rock climbing community with highly trained instructors. Be a climber with Tent & Trails! Are you interested in Rock Climbing? Looking for proper rock climbing gear in New York? Tent & Trails brings you the opportunity to take the feelings of experienced equipment that will help you to be a rock climber. If you are new to this sport, basic equipment will help you take your knowledge to a higher level. Open Monday - Wednesday, Saturday: 9:30am – 6:00pm, Thursday-Friday: 9:30am – 7:00pm and Sunday: noon – 6:00pm. So, what are you waiting for? Go to Tent & Trails and be a part of the rock climbing community with highly professional equipment. Finally, a chance to go indoor rock climbing in New York! Brooklyn Boulders is the only gym fully dedicated to rock climbing in New York. It’s also the biggest, with over 20,000 square feet of terrain suitable for climbing. Brooklyn Boulders offers rock climbing for all skill levels, from beginners to certified climbers. You can opt for a day pass for $25 ($19 for students), get a monthly membership for $99, or even a yearly membership for $849. Brooklyn Boulders also offers rentals so you can still climb even if you don’t have your own gear. They also offer weekly classes for both kids and adults. They are open from 6AM – Midnight on Mondays to Fridays, and 8AM – Midnight on Saturdays and Sundays. 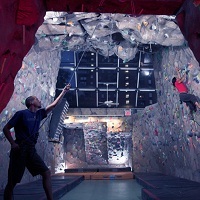 Indoor Rock Climbing Gym in New York! 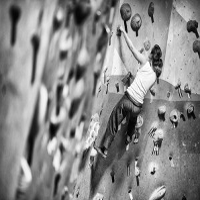 Rock Ventures provides you the best and the biggest indoor rock climbing gym in New York. They have a 18000 sq feet wide area where you can enjoy every bit of your climbing with the professional trainers. The gym is open Monday-Friday from 4-9pm, Sat: 12-9pm and Sunday from 12-6pm. Like all the other greatest gyms in the world, Rock Ventures also provides you the best climbing gear to enhance your training level to the fullest. 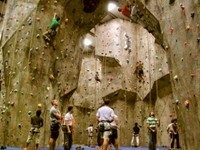 Enjoy Indoor Rock Climbing in New York! 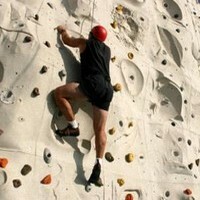 Looking for indoor rock climbing training in New York? Then The Rock Club is the right place for you. The club is providing a large space for professional training with experienced rock climbers. If you are a beginner and interested, then you can also be privileged with the BASIC training. The gym is open Monday - Friday 10am - 10:30pm and Saturday & Sunday 9:30am - 8:00pm. The Rock Club provides you one of the best indoor rock climbing experiences in the whole locality.